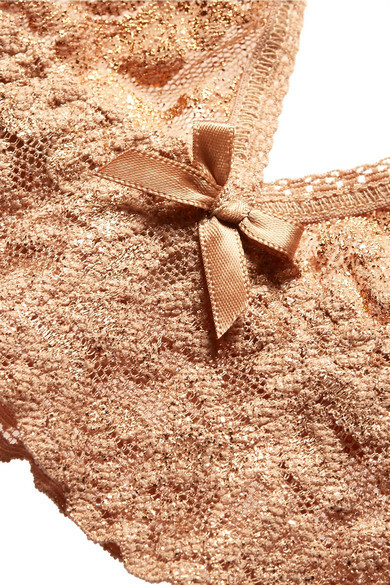 Hanky Panky's 'Stardust' bralette is made from the brand's signature stretch-lace in a sand hue that's woven with metallic threads. Free from wire and padding, this triangle style is suspended from satin-finished adjustable straps so you can customize the fit. Complete the set with the matching thong.